ArchLabs can be downloaded from our Sourceforge page as a direct download. To download, simply click on the Sourceforge image below and you will be taken directly to the download. Archlabs uses the AL-Installer (ALI) installer to install the system to your machine. 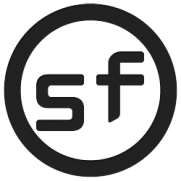 Previous releases are no longer stored on Sourceforge. If you require a copy for any reason, please email one of the team to request a link.